I’m neither a vegan or a vegetarian – so it was with some trepidation that I decided “yes” to Jolly Good Beer being invited to the London Vegan Beer Festival. I respect people who choose the option to forgo meat in their diet, doubly so if it is meat and all other animal products as vegans do. I even sometimes wish I had the resolve to make the same sacrifice, but cheese would be my downfall, and probably seafood. So I do my best to eat ethically – but whilst knowing there will always be ethical compromise in participating in the animal products supply chain. Anyway – on to the important stuff: the beer -our main strategy for the beer we’re bringing to LVBF is: bring far too much (we hope), and the more people drink the more different beers we will be able to present… *hint*hint*! Additionally there is a focus on providing a diversity of styles; lager, nitro stout, hoppy pale beer, hoppy red beer, hoppy dark beer, wheat beer, farmhouse ale… The confirmed beer lineup, including “backups”, is as follows. But please note that as some beers benefit from settling time we cannot guarantee the order they’ll be on nor that they’ll be on at all. We won’t serve anything we don’t think is 100% fantastic to drink. 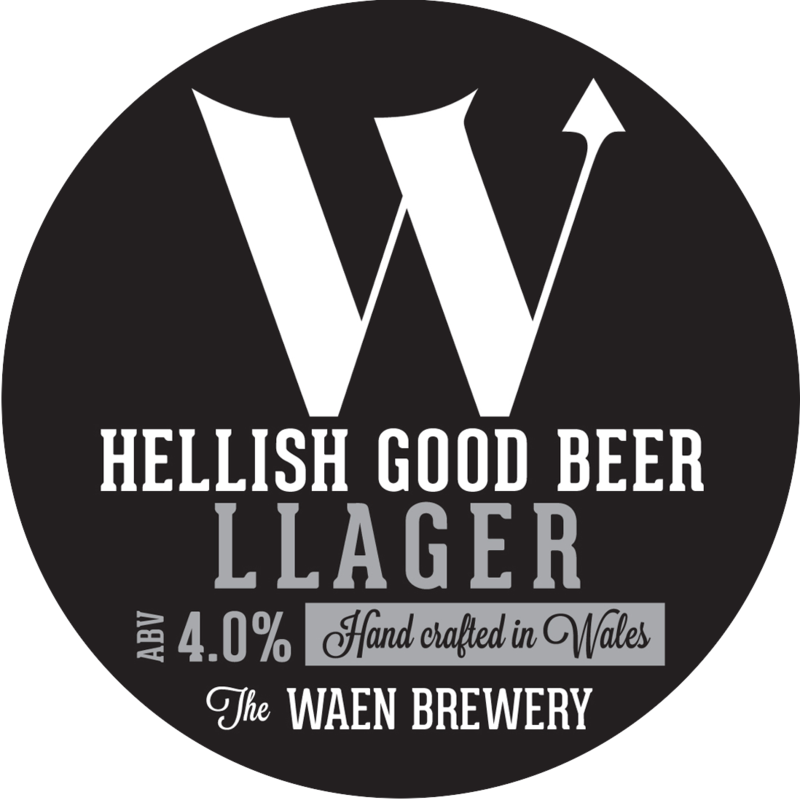 Llager (4.2%) a fantastic Welsh lager – unfiltered, unfined, uncompromising. backup: more Llager! Llager, llager, llager! All Waen bottled beers are vegan friendly, as are all their porters and stouts – as is the Llager of course! 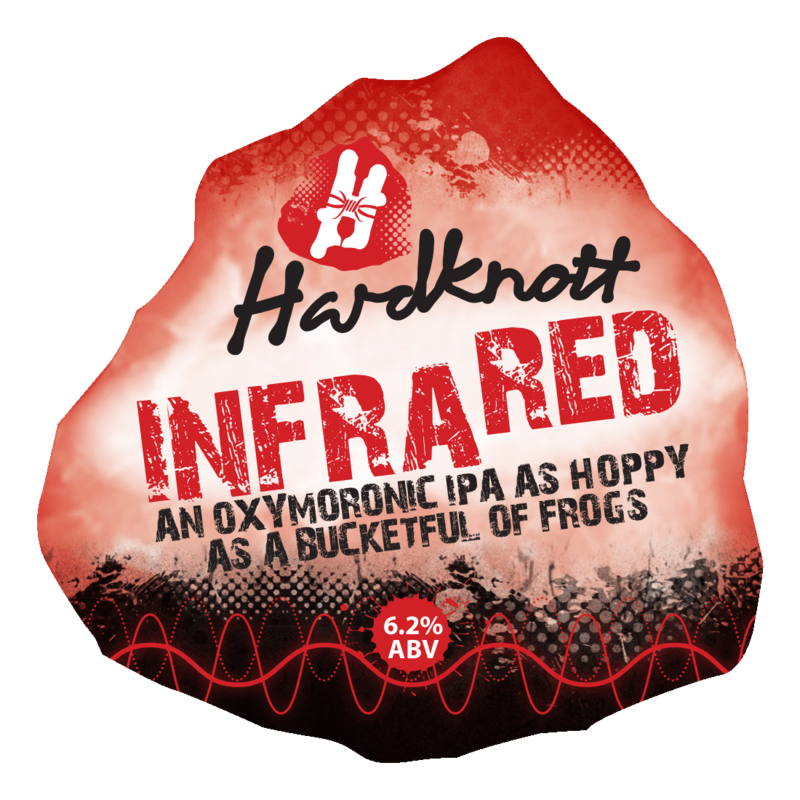 Infra Red (6.2%) There are Black IPAs all over the place these days, so why not a Red IPA? “Some people like beers that are pale and hoppy. Some people like beers that are darker and sweeter. Some people just see red whenever they hear the words “crystal malt” We’ll be honest in saying that not only is there a huge amount of hops in this beer, but also a healthy chug of crystal malt.” Deep ruby red, earthy orange and caramel nose, sweet toffee start, peppery dark roast parsnips and a long bitter finish. 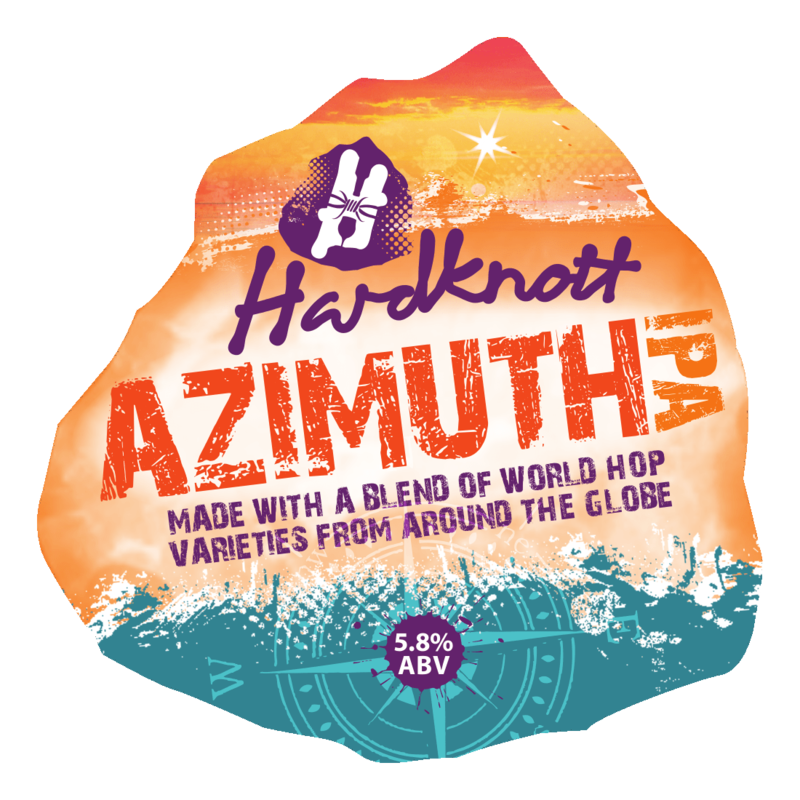 backup: Azimuth (5.8%) A clean flavoured IPA made with a mix of hops from around the Pacific rim, Some West Coast USA C hops, but rounded off with a balance of NZ hops just for the hell of it. At 5.8% it’s a perfect beer geek’s session beer. All Hardknott beers in bottle and keg are vegan friendly. 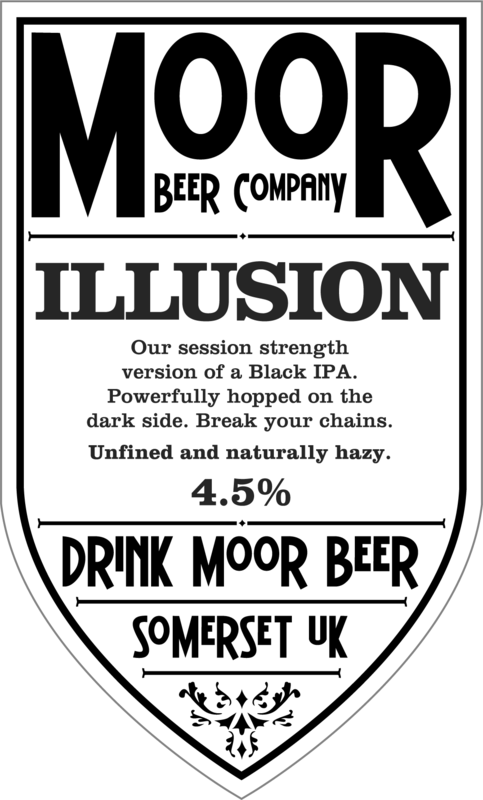 Illusion (4.5%) Illusion is inspired by the awesome beer style created in the States known as Imperial Black Ale (or Black IPA, or whatever you want to argue it should be called). Moor source the special malt required from Germany and the hops from America to create a beer of stunning depth and complexity. The result is a beer that wraps all the wonderful hop profiles of a pale ale inside a silky black exterior. It is truly an Illusion that deceives your eyes and dazzles your taste buds. Initially brewed as a special release, we love drinking this beer so much that we keep it on year-round. It is great on its own or with food – particularly at BBQs, including vegan ones! All Moor beers (keg, cask, and bottle) are vegan friendly. 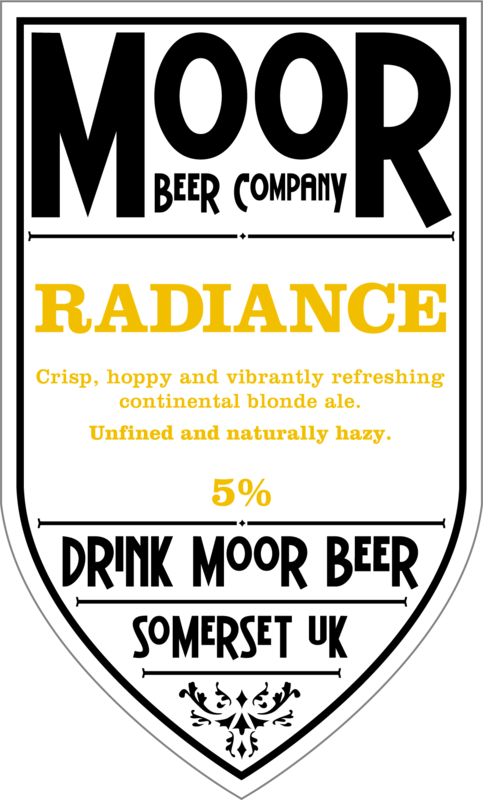 * Moor beers are keg conditioned – which means they have a lot of sediment in the keg. If we treat them carefully in transit they may be good to go on the day. If we are not happy with them we will switch in some of the other backups instead. We shall try our best! 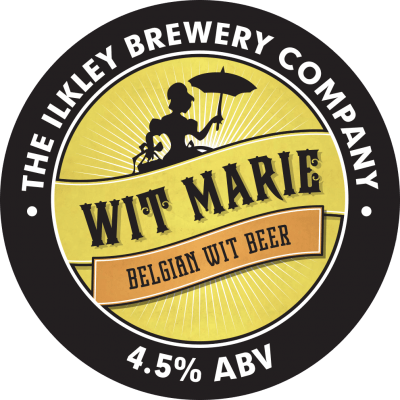 Wit Marie (4.5%) Originally brewed for the inaugural IndyManBeerCon in 2012, it became a firm favourite nationwide and is now a recurring special from Ilkley Brewery. Wit Marie is a naturally hazy Belgian Wit Bier, brewed using specially sourced yeast. Ilkley also add orange peel and coriander seeds to compliment the floral aroma and to give the beer added depth of flavour. Delicately delightful. 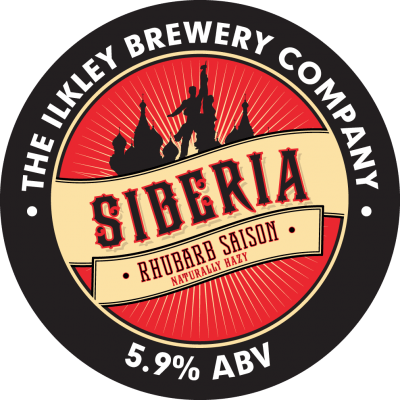 backup: Siberia (5.9%) Brewed in collaboration with Melissa Cole, we have used world famous Yorkshire Rhubarb to add a hint of sourness. There is earthy spice, and fresh vanilla from this naturally hazy Saison. Refreshing on the palate, with a long, satisfying bittersweet finish. Proving a big hit in the USA, this version is brewed specifically for keg dispense, and the carbonation lifts all of the composite flavours beautifully. Ilkley’s bottled beers are all vegan friendly, and of their keg the Wit Marie and Siberia are as well. Lanterne Rouge (4.0%) – Tour de France Special! It is a red farmhouse ale – a classic French beer style more commonly known as “saison”, this is brewed using French Aramis hops. I have no brewery notes for this but I’d expect typical saison richness, slight funky fruit, and spicy tones from the Aramis. All Summer Wine beers in bottle and keg are vegan friendly. backup: Wild Boar (5.7%) Wild Boar pours a pale straw colour with a fluffy white head. It has aromas of spicy lime and mango, with distinct flavours of honey malt and fruit punch, followed by a dry bitter finish. All Buxton beers in bottle and keg are vegan friendly. Stout (5%) A true “nitro stout” – think the fantastic texture and look of Guinness but with bundles more flavour and vegan friendly. Brewed to be truly outstanding. No backup… we have 50 litres of the stout! All Outstanding keg products are vegan friendly. We have three cask ales supplied “bright” by Peterborough’s Bexar County Brewery, huge thanks to owner-brewer Steve for sorting this out for us! Bexar produces a lot of fun beers that are usually a bit different and exciting – and our three beers from him certainly shows this I think. Bexar is a 100% unfined brewery – so all beers they produce are vegan friendly aside from some specialities that should be obvious (i.e. lacto/milk stouts that use lactose). Texas Pecan Coffee Mild (3.9%) Non-traditional mild with a hint of pecan coffee imported from San Antonio specially for this brew. Dark and delicious with the taste of coffee. A hint of pecan to finish. Vegan Vampire Juice (Blueberry) (6.0%) A refreshing wheat beer with a fruity twist, this is the blueberry version – made by adding real blueberries to the cask! Not a special just for this event, Bexar has been doing various editions of VVJ for a while. A regular find at East Anglian beer festivals. We only have a “pin” of this, that’s 4.5 gallons, so get in quick! Last, but not least, and also not beer… we have some fun vegan-friendly ciders from my friends at Apple Cottage. A pint of cider – one of your 5-a-day, right? Maybe your doctor wouldn’t agree, however it makes for a fantastic drinking option for people with gluten, wheat, and barley related allergies. We only have 20 litres of each of these – enjoy them while they last! This cider has been made with apples from local orchards from around Baldock using a blend of different varieties with no chemical additives. This is a medium dry cider that has a distinct flavour. This cider is made from local orchards around Baldock using a variety of apples with no chemical additives. slow fermentation keeps all the natural flavours to this fruity cider, smooth, sweet with plenty of flavour, matured in ginger storage containers giving it an extra ginger taste. The first barrel out went to Hitchin Beer Festival 2013 and won Cider of the Festival. KT (Medium/Sweet)Made from a blend of Katy apples, fruity, appley aroma, well balanced finish, very light straw in colour with exceptional taste easy to drink. This cider has been made from local orchards from around Baldock using a blend of apple varieties, made without any chemicals or additives. Similar to Swish Cider, this Cider has been matured in Oak Rum Casks for a number of months giving it a blackcurrant sweet and fruity flavour. This entry was posted in Beer Festivals and tagged #LVBF14, Apple Cottage, Beer Festival, Bexar, Buxton, Cask, Cider, Hardknott, Ilkley, Keg, London, Moor, Outstanding, Summer Wine, Vegan, Waen. Bookmark the permalink.